Tea, cake and cats- a magical combination! Lauren Pears is the owner of Lady Dinah’s Cat Emporium, a café that has 14 resident cats who are the main attraction for visitors to the café. The space is curated for the cats and they wander about vintage-style decorations, tables and chairs. Customers enjoy high tea, cakes and scones while they watch, pet and play with the cats. Before Lady Dinah’s, Lauren was a video game producer, but she realised that she loved animals more than she loved video games and so was inspired by a cat café that she visited in Japan and decided to open one in East London. 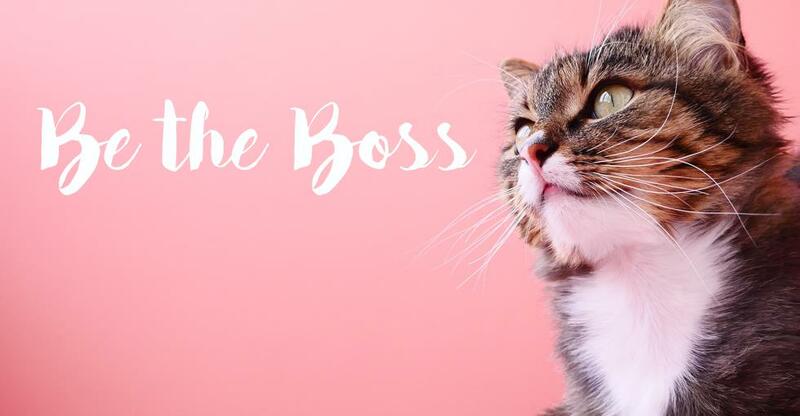 The first steps she took were to write a very long business plan that was full of all the research that she had done about what would be needed to make a cat café work. After that, though, she started a crowdfunding campaign online and started to raise the capital that she needed to open the business. Although the business plan had extensively laid out the kind of business that she was going to open, once things got going she had to shift gears and adapt to the organic growth of the business. The most notable changes were the hours that the business was open and the kind of demographic that Lauren was catering to (which turned out to be tourists and not the people in the neighbourhood as she had thought!). Even though the business is very different to what Lauren had thought it would be, it is still booked up weeks in advance. “Four years on we’re fully booked…still! And have been fully booked for the whole four years,” says Lauren. For Lauren, the best thing about the business is, of course, the cats! She had to do a lot of research about cats and their behaviours before she was given a performing animals licence and now they are very careful to put the interests of the cats first when it comes to how the café operates. After opening, Lauren and her staff continually made adjustments to the space for the cats, particularly right after opening. There are also five cat carers that make sure that the cats are always well looked after. One of the challenges that Lauren experienced in opening her own business was the difficulties of hiring staff but, after a few teething problems, she was able to find ways to make sure that she employed the right people. Even though the business had a lot of challenges, there are a lot of rewards that Lauren found in running her own business. One of these is the fact that she now has the agency to make decisions and be as creative as she wants. Her staff are also encouraged to carry out ideas that they have for the café and, in part due to this, most of the staff stay working at the café for a long time. One of the biggest lessons she has learnt from starting her own business is that you need to be very clear with yourself about what it is that you want out of your business and that you also need to know your values before getting in so that you can make decisions accordingly. “No one ever hands you a contract that’s in your best interest,” so always read the fine print and make sure that you don’t get taken advantage of. If you’re thinking of opening a niche business, Lauren suggests that you need to have a thick skin. If you are doing something that it unusual you will get a lot of attention and that attention is not always good. Online reviews have become a part of trying to run any business and there is nowhere that this is truer than in the service industry. These reviews are not always very nice and the way that you respond is the impression that you will be giving to potential customers. At the end of the day, the moments during the day when she sees people interacting with the cats and sees that the cats and the people are enjoying being in the space are the moments that have her feeling like that the cat that got the cream.